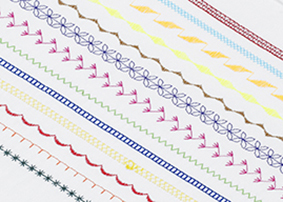 Projects such as quilting, home decor and crafts require specialty stitches. 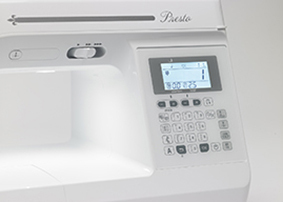 The Presto includes dozens of built-in stitches that are perfect for the projects you choose to create. 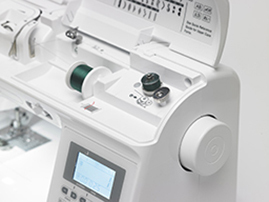 Plus, at 850 stitches per minute, you’ll be on to your next project in no time! 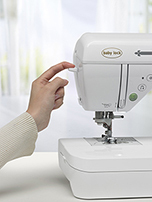 The Presto takes all of the hassle out of sewing including winding your bobbins! 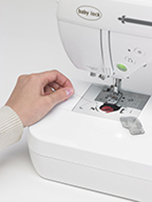 The quick-set winder holds the thread in place and stops automatically when the bobbin is full. 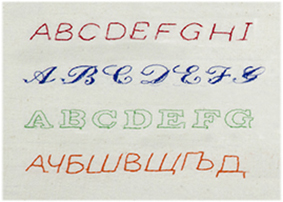 Add personality to your custom-made creations with the Presto’s 4 built-in alphabets.